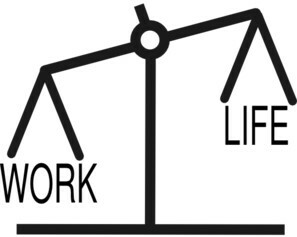 Are you ready to achieve work-life balance? The American Sociological Review has published a study showing that most of us struggle—which is a fancy word for “fail”—in this important endeavor. But there’s hope. The study also found that the minority of people who HAVE managed to achieve some form of the work/life holy grail are doing certain things well. Like what? First, they take the time to make deliberate choices about what they want in their lives. Rather than collapse after work in front of the TV or stay at their desk through their vacation time, they create a road map of the kind of life they want to live, and how they will spend their time, and commit to this path. Second: they regularly communicate with important people in their lives about what’s working for them, and what isn’t. This prevents them from drifting off the work-life rails as a result of outside influences and pressures. Third: they make sure they set aside time for family, friends and their important interests. Instead of waiting to see if any free time is left over after work, they make a point of booking time off to spend outside of work, and they are willing to guard this time and resist intrusions on it. Fourth: they develop a strong sense of who they are, and their values, and what’s important to them. This helps them determine what success means to them, what makes them happy, and what they want to get more of in their lives. Fifth, they are able to tune out distractions, which may mean their electronic devices or just the TV. This allows them to participate in meditation, enjoy music, engage in physical activity or other things that rejuvenate and regenerate them. Sixth: They are willing to make sacrifices to get what they want. They may work extra hard during the week so they can be sure to get the weekend off—or earn an extra day off to add to the planned weekend activity. Finally: they develop a strong support network that they can depend on to get them through difficult times. They have a variety of interests, which brings them in contact with like-minded people who will enrich their lives and be there when they’re needed.